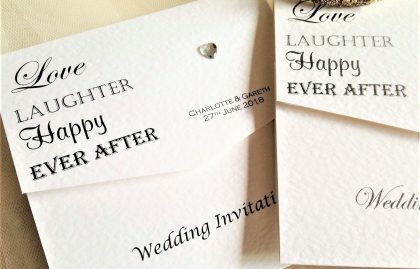 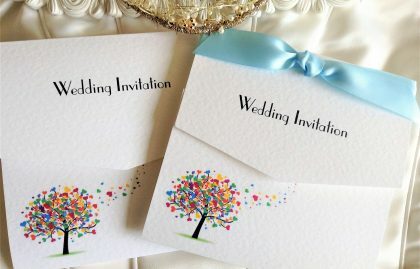 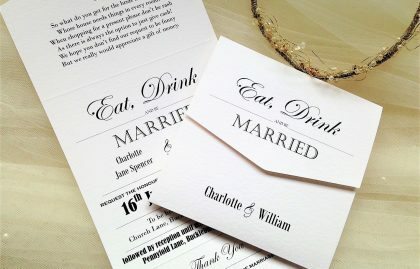 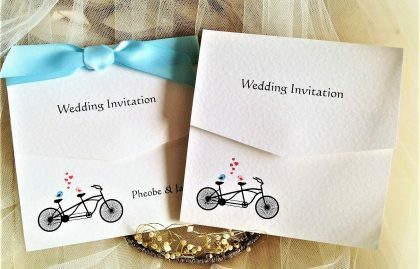 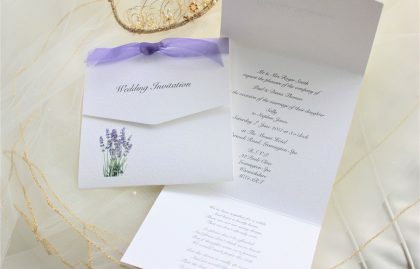 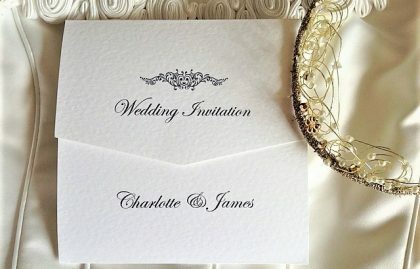 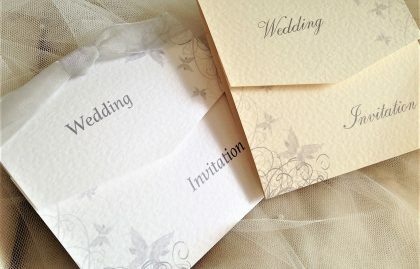 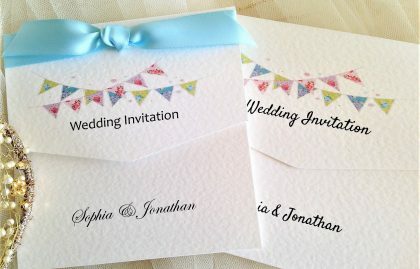 Trifold Wedding Invitations, our most popular wedding invitation design because they offer lots of space for additional information without having to spend money on insert cards. 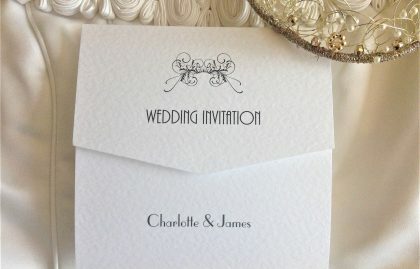 There are three panels for printing, top section for gift poem, middle section for the invitation details and then the bottom section for directions, accommodation and any other details you want to include. 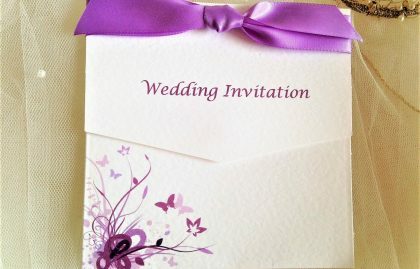 Measuring 34cm x 15cm (opened) or 15cm x 15cm when closed. 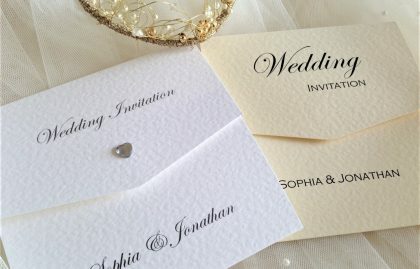 A heavy weight hammered textured card (270gsm) available in white or ivory or for a more rustic feel our brown kraft card (280gsm).